Definitely not the first time we’ve chosen this gorgeous BMW M3 E92 model for our car of the day category. One thing is for sure that we are introducing this model from the latest need for speed game for the first time. 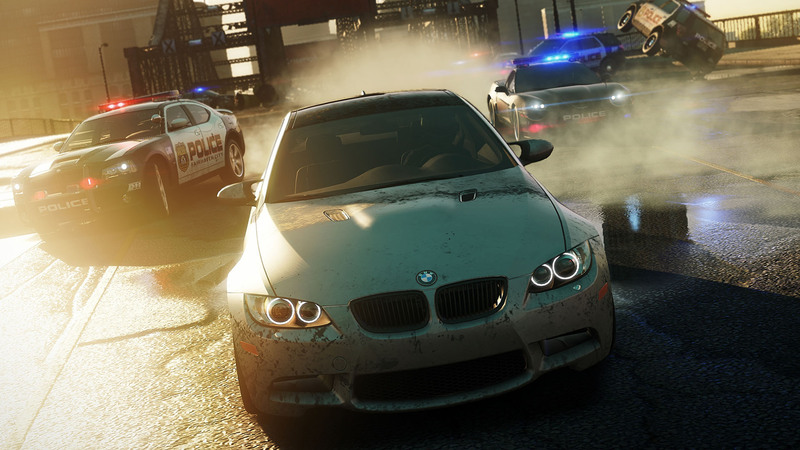 You can find this BMW model in that game which is called “Need for Speed Most Wanted 2012”. Obviously you can’t compare the driving of this car in real life and driving it in some game. Sure many people can’t afford to buy such a car, so at least they can drive it in a game. It is definitely worth of trying, because this BMW M3 E92 looks really nice in that game because of modern realistic graphics. Obviously, most people who’ve played that game can say that the handling isn’t the best part of the game, but still at least you can get a chance to drive this beast, and it’s always better than nothing. The BMW M3 E92 Coupe is definitely one nice car. Not just a nice car, but also seriously powerful car, and it’s not overpriced that much as some other cars are. For a lot of people it’s one of the best if not the best car. If you ever had a chance to drive this car, you probably can say a lot of good things about this car. Speaking about that Need for Speed Most Wanted 2012 game, you can get a chance to drive not just this E92 model, but also there is available a BMW M3 E46 GTR model and 1 series M coupe as well.